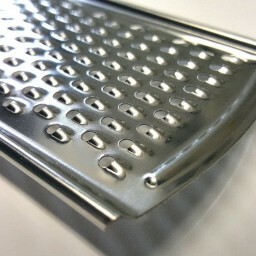 Quality etched strong stainless steel grater with sharp cutting teeth. 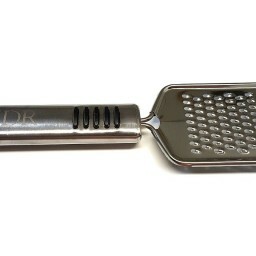 EXTRA COARSE - Quality etched strong stainless steel grater with sharp cutting teeth. DISH WASHER SAFE - You can put it into the dishwasher after use. 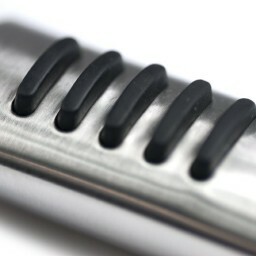 EASY STORAGE - hole in handle for easy hanging for storage. 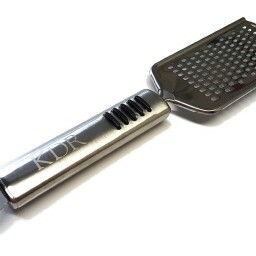 PERFECT DESIGN - Ergonomic handle will fit your hand perfectly and allow you to effortless grate any citrus, cheese, ginger or chocolate.